When you're juggling the daily routine, you need a vehicle that can keep up with the pace. MU-X is the vehicle you can rely on. The MU-X is built with the values that have made Isuzu famous: dependability, reliability and efficiency. Ready for the long haul, it’s built seriously tough—so you can rely on it for work, play and adventure. The MU-X is full of engineering details that only Isuzu would think of, each one of them designed to make the MU-X really tough. Here are some clever design features beneath the skin. Fancy replacing your timing belt? Probably not – so the Isuzu MU-X doesn't have one. Instead it uses a heavy duty steel timing chain designed to last the life of the engine. The ladder chassis has been specifically designed for the MU-X. Its heavy duty design ensures long term durability, and improves stability whether loaded or towing. This unique detail eliminates backlash on engine deceleration, reducing engine wear. 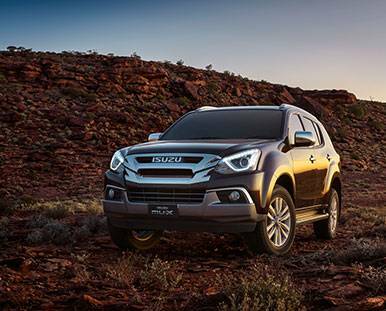 Isuzu's diesel engines are built to withstand higher temperatures and pressures than other engines, so the MU-X 3.0L turbo diesel engine is tough by nature, hard-wearing and provides the legendary Isuzu reliability that you have come to expect. Fancy replacing your timing belt? Probably not - so the Isuzu MU-X doesn't have one. 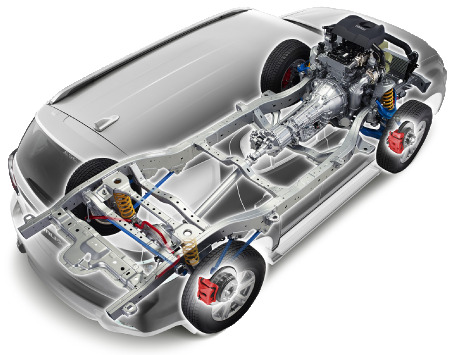 Instead it uses a heavy duty steel timing chain designed to last the life of the engine.